With more and more of the world's content online, it is critical that students understand how to effectively use web search to find quality sources appropriate to their task. We've created a series of lessons to help you guide your students to use search meaningfully in their schoolwork and beyond. On this page, you'll find Search Literacy lessons and A Google A Day classroom challenges. Our search literacy lessons help you meet the new Common Core State Standards and are broken down based on level of expertise in search: Beginner, Intermediate, or Advanced. A Google A Day challenges help your students put their search skills to the test, and to get your classroom engaged and excited about using technology to discover the world around them. Have feedback or suggestions? 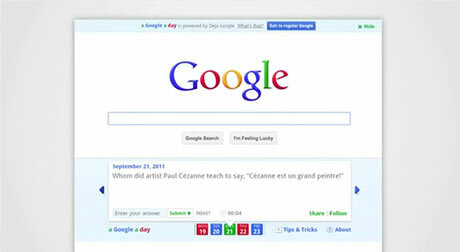 Contact us at search-educators@google.com. These lesson plans are licensed under a Creative Commons CC-BY license.